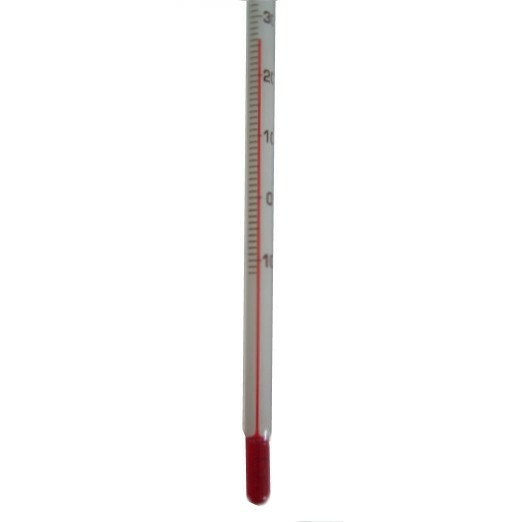 Solid glass thermometer ideal for measuring the temperature of hot glue and other cooking up to 110°. Filled with RED reflex Alcohol to facilitate reading. Diameter of the shank mm 6 - 7. Graduations and inscriptions in dark brown enamel. They are provided with a safety bubble at the top of the capillary, whose oval section allows a view of the column enlarged three times.